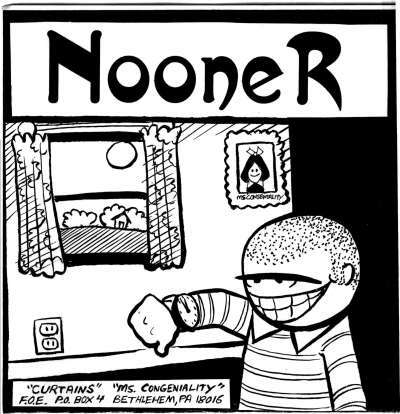 FOE 014 Nooner / Driver Eleven Split 7"
Nooner does "Curtains" and "Ms. Congeniality". 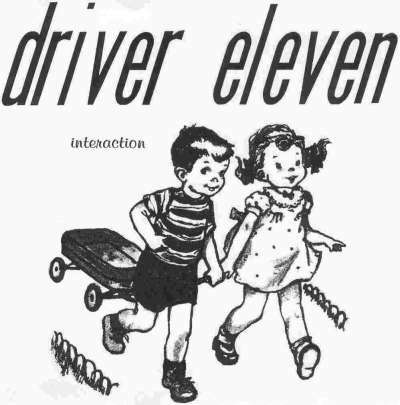 Driver Eleven does "Interaction". Nooner recorded at Rich Sound Studios in April 1997. Engineered by Dana Fehr, assisted by Barry Johnston, produced by Peabody and Nooner. Nooner lineup for this record was Dave (Guitar and vocals), Gil (bass) and Doug (drums and backup vocals). Driver Eleven recorded at Pus Cavern North by Joe Johnston in Sacramento CA in 1997. Driver Eleven line up was Brett, Craig and Ace.